Home Learn What is Domain Authority? Why it is most important for SEO? This post is to discuss Domain Authority. Thousands of new websites are created every day. As many bloggers, they also know about SEO and related terms such as backlinks, Google page rank, etc., which they can use to bring their website to the search engine on a good rank, to increase the traffic on their website and they will be able to earn the good income through it. All the terms related to SEO are very important for getting the website a good rank and one of them is the Domain Authority, which is very few people know, and this is very important for blogs. So today let me tell you about, What is the Domain Authority? How to check the DA of your blog? And how to improve your DA? Domain Authority (DA) is a metric created by Moz company, whose purpose is to give ratings within 1-100 to websites. DA is a very important factor in SEO, which shows how well the website is on the search engine. Higher the value of your website’s Domain Authority, the higher it will be in its ranking for search engine and the more robust traffic your site will get. DA of a different website is also different. A person who has just started a new blog has the value of DA within 10-20 after some three months. when the domain will become old, its DA will increase. The more DA, the more profitable it will get in organic traffic. But here the question arises how we can detect the DA of our blog. So let’s know about this too. How do you check the Domain Authority? There are so many tools available on the internet that you can help you to know the value of your website’s domain authority. But we will use the best domain authority checker tool and Moz Open Site Explorer is a great tool where when you write your site’s domain address, this tool will show you your latest DA score. It is not known to anyone that the rank of a website’s domain authority is given on the basis of which criteria. It is only known to the Moz company that has invented it. Moz’s system checks out 40 different factors to rank a particular domain such as how old your domain is, how many links are connected to your site, how many links you are getting from links from high DA websites etc. By doing so, 40 factors check out to give the Moz team rank. The DA of a website is never constant or it grows or decreases. If your website’s DA is increasing then it will prove to be very favored for you if the DA is decreasing then this is a very bad sign. For this, you need to increase your blog’s DA. but how? How to improve the Domain Authority of Website or Blog? 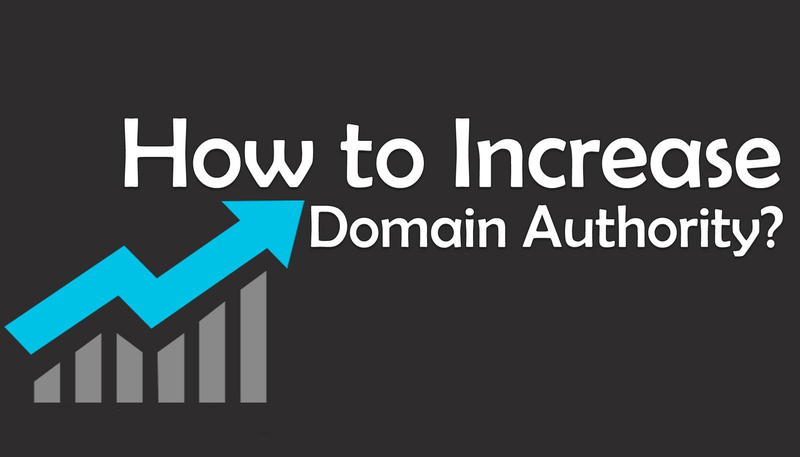 Increase the domain authority of your blog means that increasing the chances of getting a high rank on search engines. The domain authority proves to be the most favored to grow, the links which are coming from your website from the website, whose DA rank is good and more. Therefore, a blogger should focus more attention on the link building. By following the given points, you can improve your blog’s DA. 1. Link Building – Link building is a great reason behind the increase in DA. Try to get as many backlinks as you can and keep an eye on the one thing that they get all the links from quality websites. If you have links from low-quality websites then your DA will take a lot of time to grow. 2. Strengthen the interlinking – interlinking means linking the page of your own blog to another page. You can also post a new article on your blog, remember that every post has been linked to your blog’s old posts which have become a high rank on the Google search engine page. By doing this, link juice passes in the new post from old post and the chances of visiting more visitors are increased in that post. Thereby increasing the chances of DA increases too. 3. Comment – Related to the niche of your blog, comment on another blog page or forum, by doing so we get the do-follow link so that the readers coming to another blog and forum start coming to your blog. This will gradually increase the popularity of your blog and DA will also be able to grow automatically along with it. 4. Increase the speed of the website – On Google’s search engine page, the website also gets a high rank, whose site does not take much time to load. Therefore, it is very important for a blogger to focus on the load time of your site. 5. Social media marketing – We get referral traffic from social media and also increases the brand value of the website. This is the best way to rank your website on Google’s page and to reach your audience as much as possible. The more people like your writing, the fans will grow and it will have the direct impact on your domain authority. Previous articleWhat is Backlink and How to Build Quality Backlink?